You can add extra ingredients that you think would go well with the dish you are making to this basic salsa verde recipe. 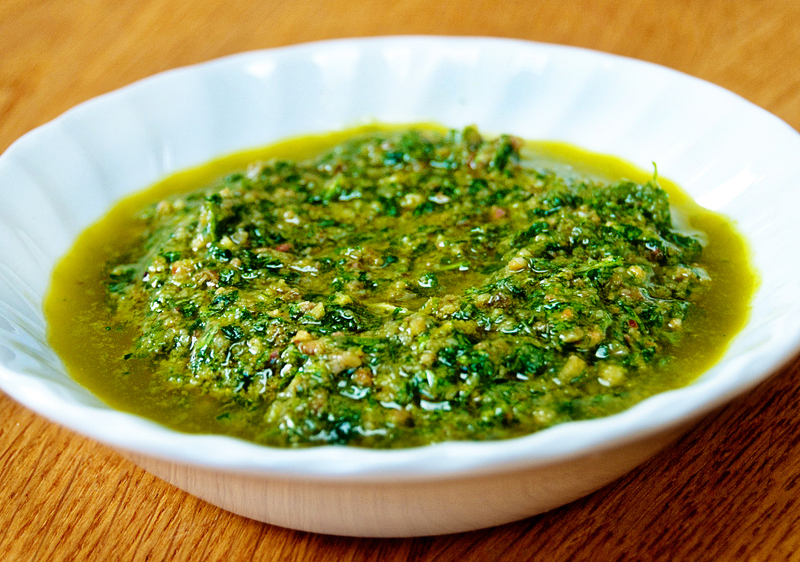 Try swapping tarragon for the basil or adding cornichons when making salsa verde to go with grilled fish. Put the breadcrumbs into a bowl with the vinegar. Wash and roughly chop the parsley. Wash a handful of basil leaves. Rinse the capers. Blitz all the ingredients together to a pulp. Add some extra olive oil if the sauce is too thick and sprinkle with a generous grinding of black pepper.